Scooters, Chairs & Wheelchair Cushion Rentals in Webster TX! This is great for short-term needs to give the patient extra comfort during long seating periods. 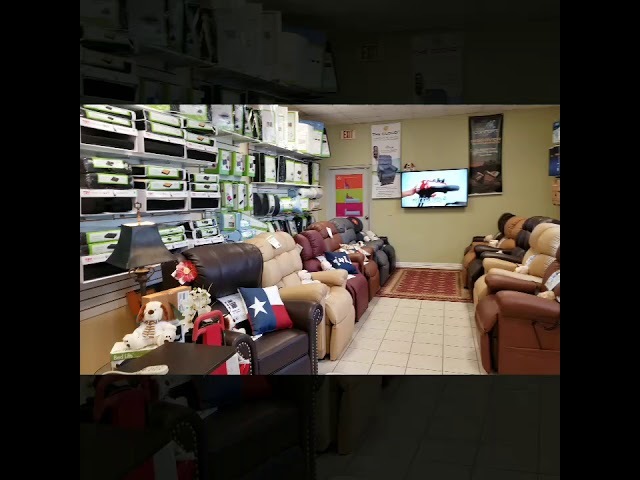 You can experience the benefits that our cushions have to offer first hand by making a trip to our local medical supply store showroom in Houston TX. We allow you to try out our cushions in order to determine if it is the right model for your needs. In addition to cushions rentals, we also offer Wheelchair rentals, reclining wheelchair rentals, scooter rentals and much more. Call us to book your Cushion Rental Today! Turn any armchair or wheelchair into one big pillow . Complete one piece luxury polyfill pillow covering for seat bottom back sides and over the armrests. This ideal cushion reduces body pressure stimulates circulation reduces numbness soreness ans discomfort as well as reduces heat build up by increasing air circulation and soft and Resilient polifill is built to last. Made in USA. Gel/foam combination provides the user excellent weight distribution and even pressure relief. Cushion will maintain shape. Non-flammable. Cover is washable and waterproof. Great for wheelchairs transport chairs or home and office seating comfort.